Usually overnight but sometimes 2 days within New Zealand. International orders take 2 weeks. Once your order is dispatched we will email you a tracking number and invoice. We are very experienced at shipping and do all we can to get you your items as quick as possible. We can be contacted on 0800 773 766 during business hours or emailed any time. All our products are made in Christchurch New Zealand, using latest technology in state of the art pharmaceutical manufacturing facilities, which is GMP certified, and used by fully trained staff. Both our manufacturing felicity and warehousing is registered with the Ministry of Primary Industries, and is certified 100% compliant with food safety standards, in all aspects of the company; Manufacturing, warehousing and distribution. Where we can we use NZ made ingredients, however due to the exotic nature of the plants used in the majority of our our formulations, and the limited extract industry in New Zealand many of our ingredients are sourced internationally. Including China, India, Indonesia, Brazil, and America. 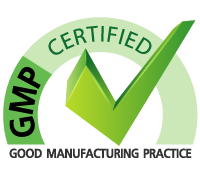 We only use the highest quality GMP manufactured products, sourced from reputable and accredited companies. Yes they are! All orders are sent in an unmarked plain packaging with no indication whatsoever of it‘s contents. All products are labelled as health supplements. About 1 month after ordering you will receive an email, giving you the opportunity to write a review on the product you ordered. All reviews on this site are real reviews from real customers. If you would like to review one of our products and did not receive or can not find the review request, contact us and we will send you one. Can I retail your products? Yes. We give some great discounts for wholesale quantities (50 units or more), and also offer custom manufacturing and white label products. You can order online and be given our various payment methods when you checkout. Or you can call us to place your order over the phone.